The last thing Maldynado Montichelu - former aristocrat and current ladies' man - ever wanted was to be left in charge. After all, the team just blew up a train, crashed a dirigible, and kidnapped the emperor. It's kind of an important time. But, with Amaranthe captured by the nefarious Forge coalition, and Sicarius off to find her, the team is lacking in leaders. Also, Sicarius has made it clear that Maldynado's life may be forfeit should anything happen to the emperor while he's gone. 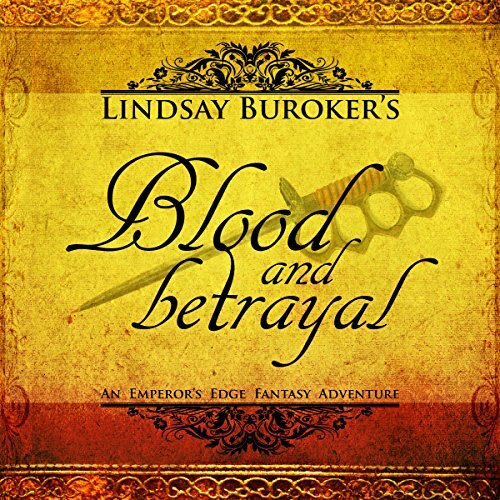 To make matters worse, Forge's cutthroats are after Sespian, and the young emperor believes Maldynado's loyalties are suspect. As if it's his fault that his older brother is working with the coalition to usurp the throne. If Maldynado can't figure out how to earn the emperor's trust quickly, Sespian will go off to confront their powerful enemies on his own. Meanwhile, Amaranthe must find a way to escape from the coalition's newest ally, Master Interrogator Pike, a man who plans to pull all of the secrets from her head, one way or another. Fantastic book and series, I love how we're finally getting more of the Emperor again. I've missed him since we haven't heard much about him since book 1. 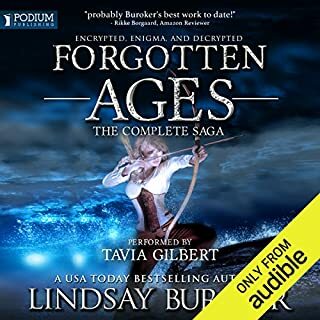 I love the series, and am eager for the rest to be available for audiobook. 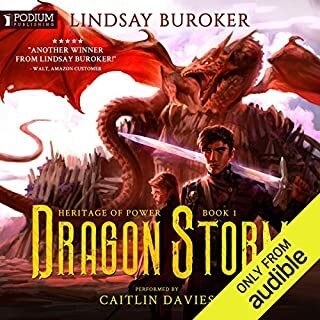 I can tell the new narrator tried hard to use the same style of voices as the first 3 books, and it's a little different at first, but overall, she did a fantastic job keeping the character voices close to the same style. Can't wait for the next book to be out! If you could sum up Blood and Betrayal in three words, what would they be? I love Sicarius. But I really love all the characters. They are all different, unique and bring something different to the table. The results of the choice he made and the look on his face and what he did next. 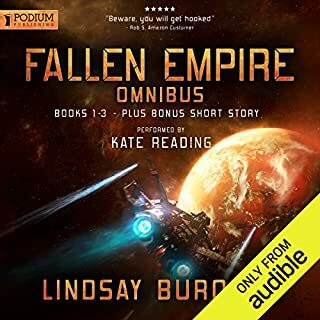 I'm here from the Fallen Empire series. I totally loved Leonidas and decided to try another series while I wait for more of those. I'm sorry Leo, but I think Sicarius is my new favorite. The book is non-stop action. A real thrill ride. I can't recommend this series enough. You do need to start from book one or you won't know what's going on. There is also a romance. No instant love, it's been a build up over all 5 books, mainly the last two. I like it. It feels more real. This book revealed quite a bit about Sicarius past and begins to explain why he is what he (an Assassin) is. The one thing I like is that Sicarius is an Assassin. I don't mean a book that says he's one then he never wants to kill anyone. Sicarius will and does kill. It's because of love that he's trying not to make it his first option but he has a particular skill set and if there is no other way, he will find you, (my best Liam Neeson immigration from Taken) and he will kill you. I loved reading this series(repeatedly) , and I'm enjoying the audio versions just as much. Can't wait for the next one. I love the whole series, having read them all before as well. I was very disappointed to see the rest of the series hasn’t been made into audio books as well. 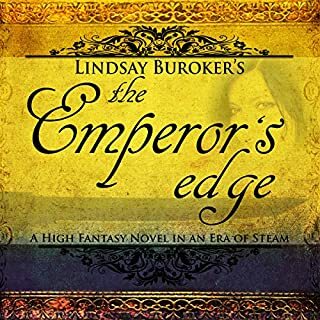 the emporers edge series is getting better each book. I was happy when the narration changed people because the current narrator does a much better job telling the difference between characters and uses different voices. yes much better! 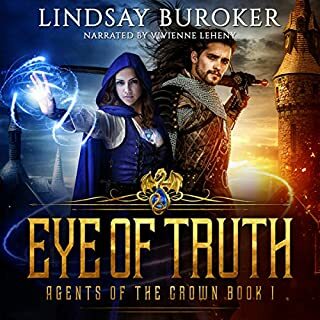 Cannot wait for the rest of the series Lindsay Buroker always produces books with interest all the way through and even though I have all the kindle books I like to listen to them while I work etc. so hurry up and bring them audible. I would very much like more of these on audible. I believe the next four books have yet to make it to audio format. I'm literally queuing up to buy them as soon as they are ready. once again a great gripping story,. 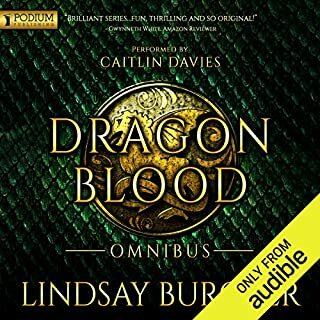 enjoyed another great book in the series and I'm now awaiting the rest in the series as audio books.